This month, Ford Gallery is proud to exhibit works by artist Sam Klein. 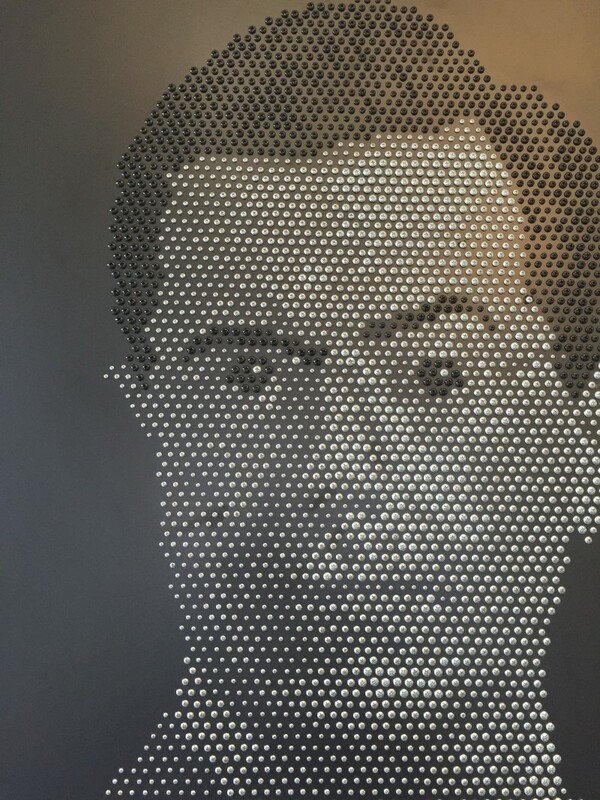 Klein’s pointillist work draws from his uniquely-curated appreciation of pop culture. The “points” in each of these pieces are Phillips head screws of varying size and color. The works are magnificent when viewed in person. Klein’s other paintings viewable in the slideshow below, are not hung in the gallery but are on site and can be viewed by appointment. Stop by before March 19.